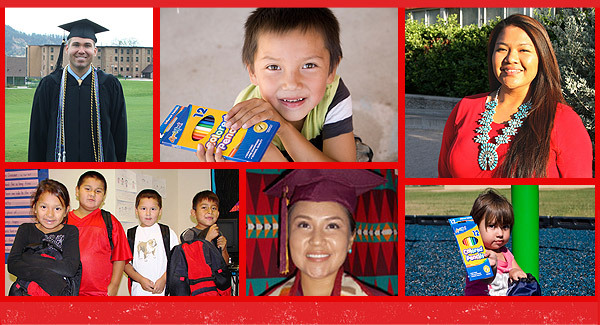 Thank you for choosing to support our efforts to build strong, self-sufficient Native American students and communities. Your gift will have an immediate and lasting impact in the communities we serve. Your online donation is the most cost-efficient method of giving, allowing us to use more funds to help those we serve. If you would rather make a donation by phone, please call (800) 881-8694. If by mail, please print this donation form and send it, along with your check made out to American Indian Education Fund. Yes, I would like to help AIEF reduce their fundraising expenses by repeating this gift every month.